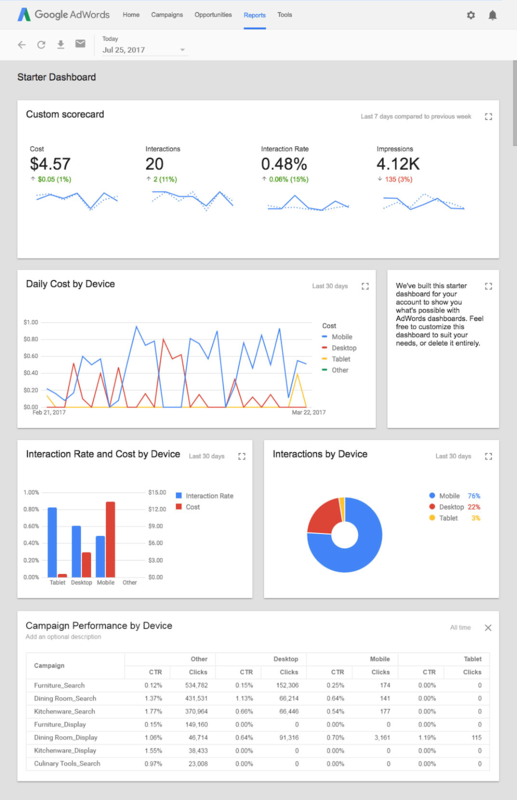 Google AdWords has announced they are going to be rolling out new reporting dashboards that give advertisers a "panoramic" view of their account. Advertisers would be able to create their own dashboards and lump them into one screen to get a quick look on a single page on how well their campaigns are running. To make new dashboards go to reports at the top of your account, click the Dashboards tab, and then + Dashboard. This is rolling out over the "next several weeks" says Google - so you might not see it yet. Here are more details on how they work.